Last month I put up a review of the first episode of The Z-Virus; a new zombie themed web series, and now I am happy to be able to review the second episode of this six part series, this one titled Uninvited Guests. Apparently this show has had over 303,000 minutes viewed on Amazon Instant Video alone which sounds impressive when you consider each episode is only around nine minutes in length. I was worried the potential shown in the first episode would be squandered, but Uninvited Guests again left me wanting more. The short length is frustrating, I guess in a good way as I really wanted to know more about what was occurring. What was great about the second episode is that it runs concurrently with the first, it was pretty cool how these crossed over with each other, showing the other perspective of episode one's cliffhanger. I actually enjoyed this one more. The man (AJ) has more of a character due to his interactions with his family, and the strangers he meets, while there is a nicely choreographed fight sequence. De Grate brings a quiet intensity to his role which adds a lot to the performance. It also felt novel that an explanation was provided for the state of the world, both visually and with on screen text explaining. If I had one complaint (other than sound issues popping up in places again, making it hard to hear dialogue) it would be that there were no zombies to be found here. However I didn't actually mind that as it is all setting up the continuing adventures of these survivors, obviously more are to come. 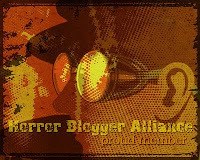 For a low budget, short length show there is potential to be impressed by here, this is something I would recommend. I do hope the rest of The Z-Virus manages to be as cohesive as this. 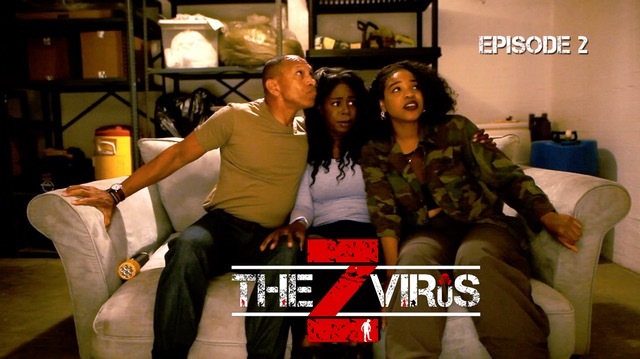 The Z-Virus can be viewed at TheZVirusSeries.com, ScreenMagicTV.com, Amazon Prime, Vimeo on Demand and on the ScreenMagic TV Roku channel.